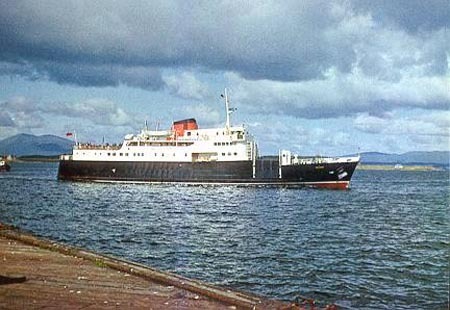 This page is devoted to postcards and photographs of the MacBrayne car ferry Columba, which subsequently served as the cruise ship Hebridean Princess. 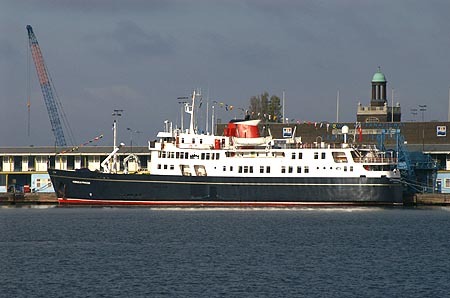 One of three car ferries owned by the Secretary of State for Scotland (her sisters being the Clansman and Hebrides) and managed by MacBraynes. 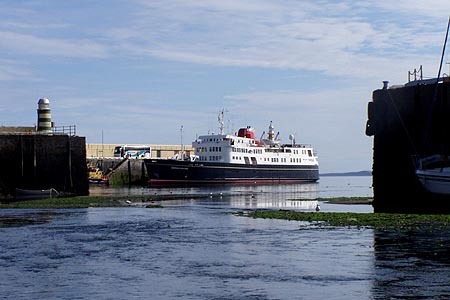 All used side-loading hoists to load their cars, since no West Highland piers had linkspans at this time. 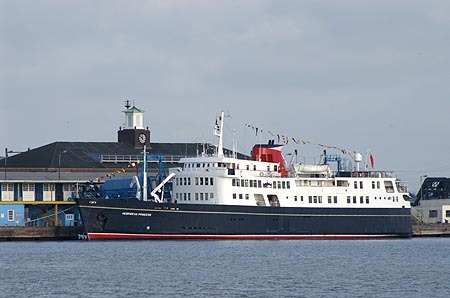 Columba remains in service from Oban as the luxury cruise ship Hebridean Princess, with Hebridean Island Cruises. 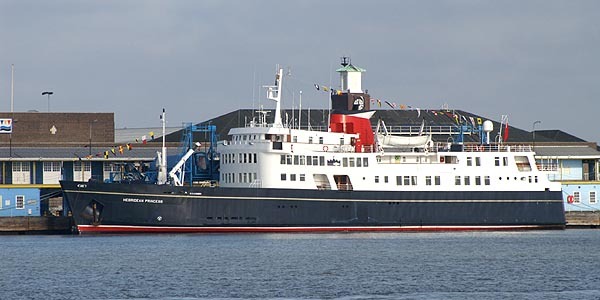 2104 tons, 235 ft long, 600 passengers. 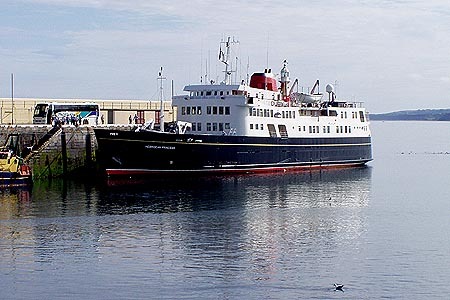 One of three car ferries owned by the Secretary of State for Scotland (her sisters being the Clansman and Hebrides) and managed by MacBraynes. 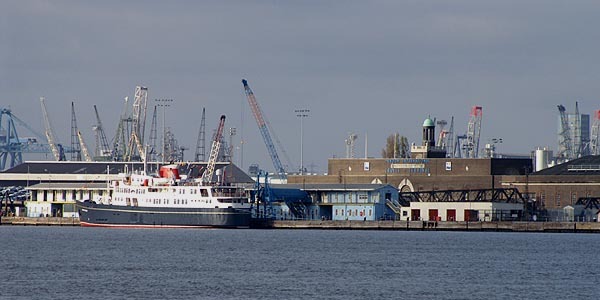 All use side-loading hoists to load their cars, since no West Highland piers had linkspans at this time. 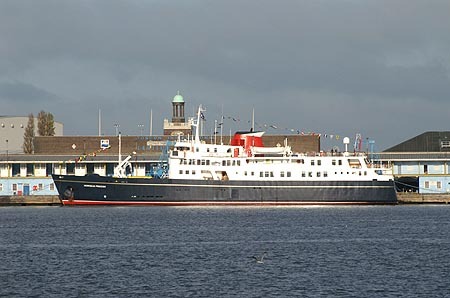 Columba remains in service from Oban as the luxury cruise ship Hebridean Princess, with Hebridean Island Cruises. 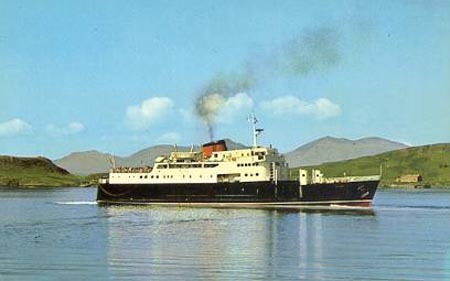 Dennis postcard (serial S.T.5417) of Columba. 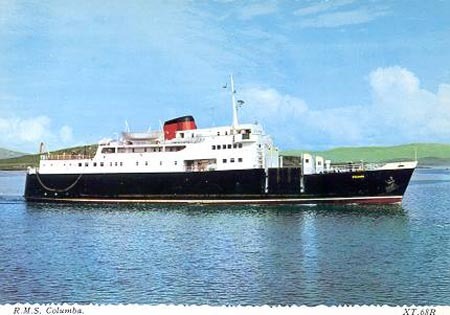 J.Arthur Dixon postcard (serial 4800) of Columba off Oban. 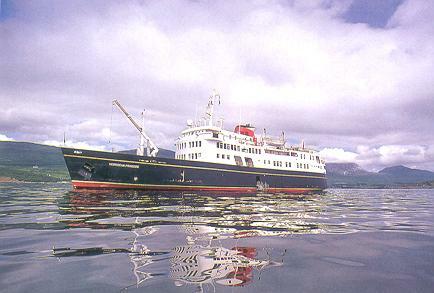 Valentine postcard (serial XT.68R) of Columba. 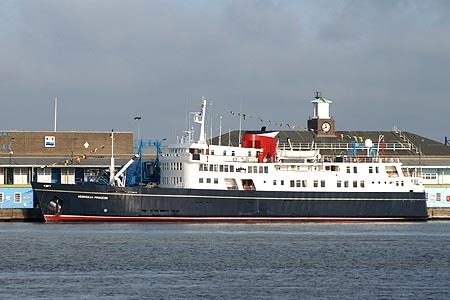 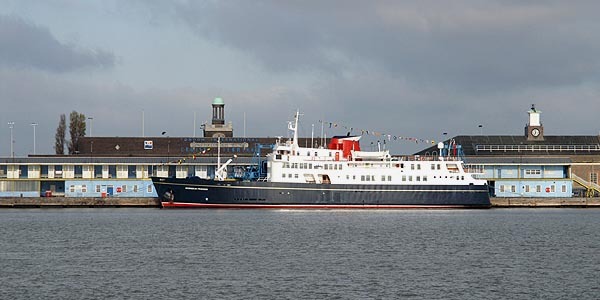 Hebridean Island Cruises was formed with the acquisition in 1988 of the Caledonian-MacBrayne car ferry Columba, originally built in 1964 for the Oban-Craignure-Lochaline service of David MacBrayne. 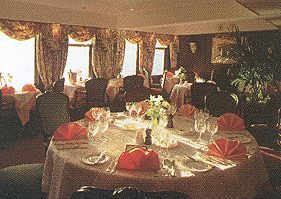 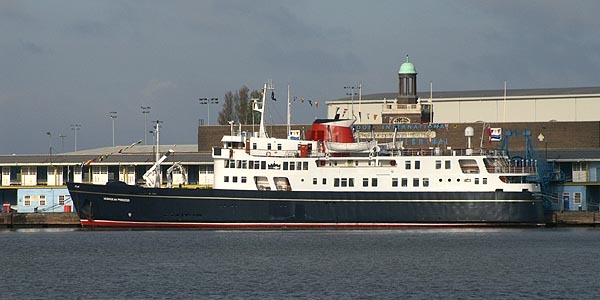 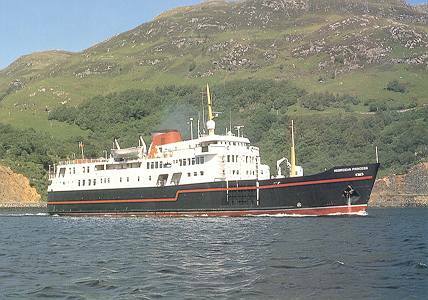 Following a complete internal refit, she appeared as the luxury cruise ship Hebridean Princess in 1989, carrying just 49 passengers. 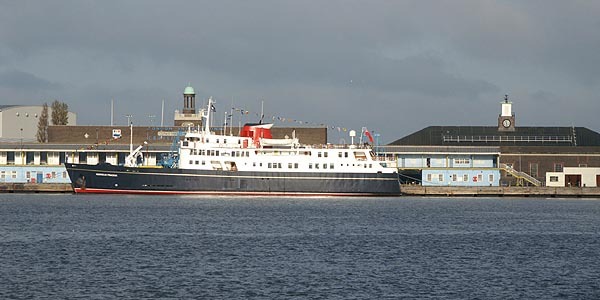 She operates cruises of up to 14 nights out of Oban, originally around the Western Isles of Scotland. 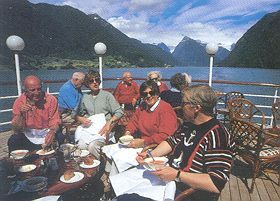 More recently, itineraries have been extended to include Ireland, the Orkney and Shetland islands, and the Norwegian Fjords. 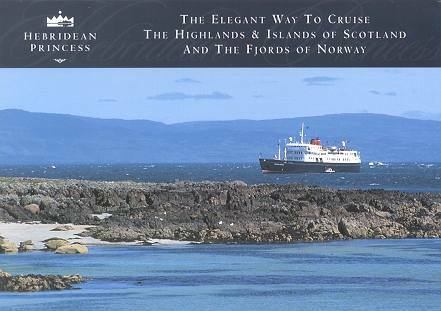 Chantry Classics postcard CC/S137 of Hebridean Princess, using an official Hebridean Island Cruises photograph. 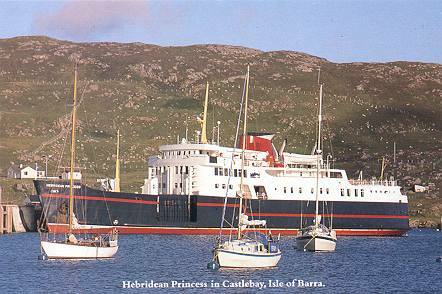 Official postcard of Hebridean Princess using the same photograph as the card above. 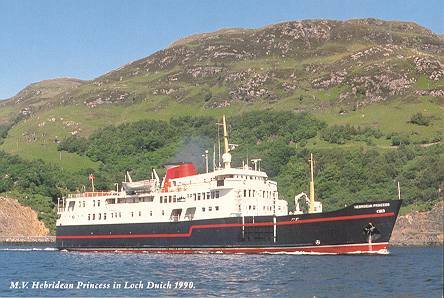 Official postcard of Hebridean Princess. 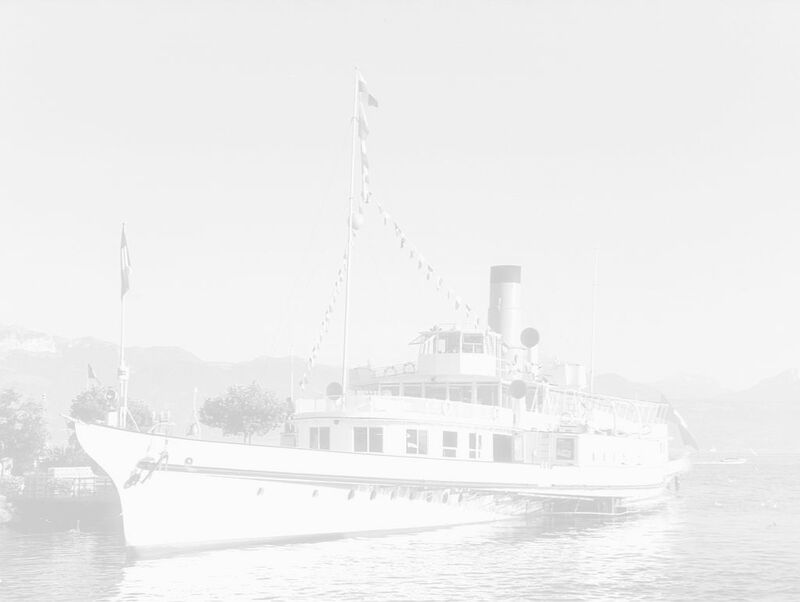 Note the car hoist forward of the bridge still survives on these early postcards. 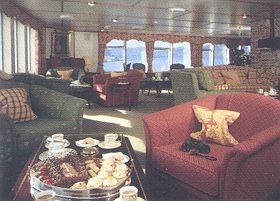 The car deck was later refitted as additional cabins as shown on subsequent cards. 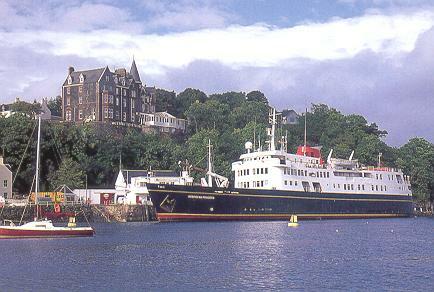 An official postcard of the Western Isles Hotel, Tobermory, with Hebridean Princess at the pier. 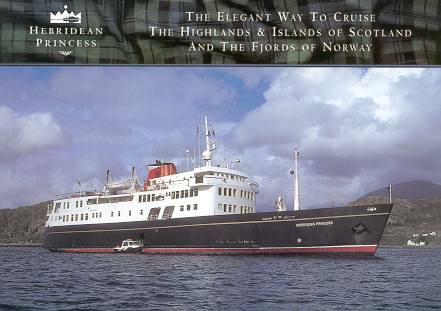 Oversized official postcards of Hebridean Princess. 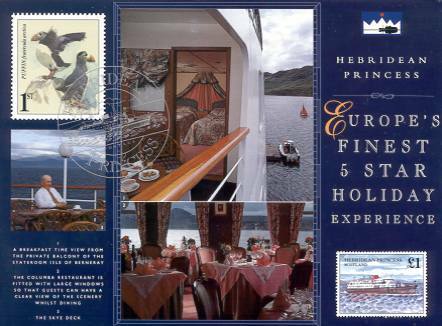 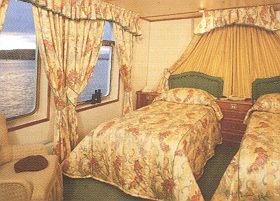 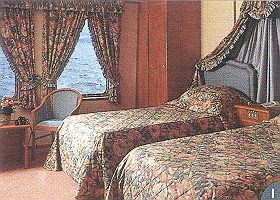 These interior and deck views of Hebridean Princess are taken from the backs of the large postcards shown above. 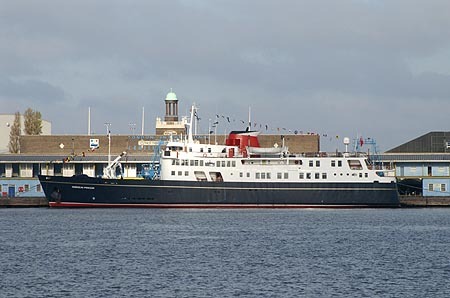 Photograph of Hebridean Princess at Peel, Isle of Man. 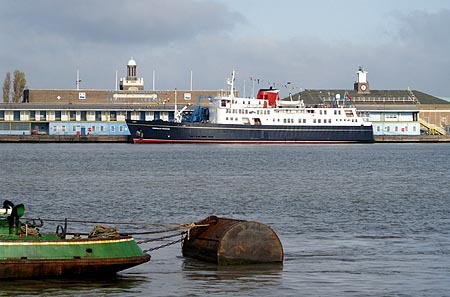 Photo: &COPY; Jenny Williamson, 10th July 2005. 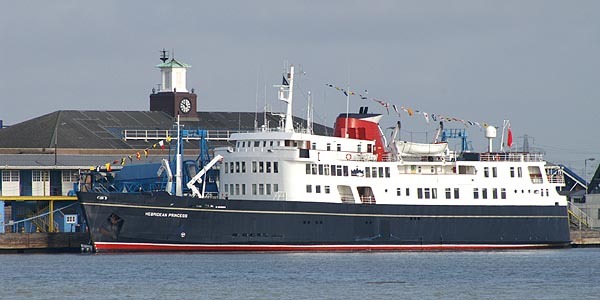 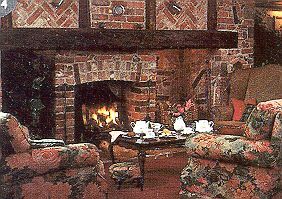 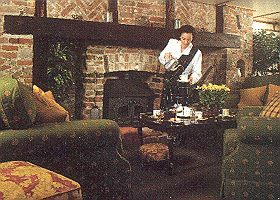 Photograph of Hebridean Princess at Tibury. 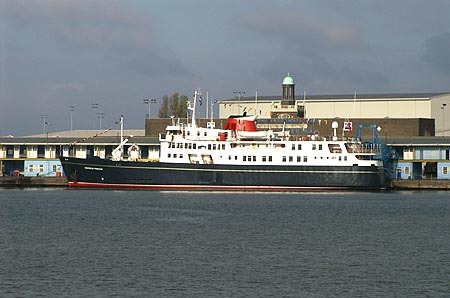 Hebridean Princess called at Tibury, whilst travelling from Oban to Lowstoft, to be inspected by HM Queen Elizabeth II who proposes to use her for a private charter to celebrate her 80th birthday in 2006. 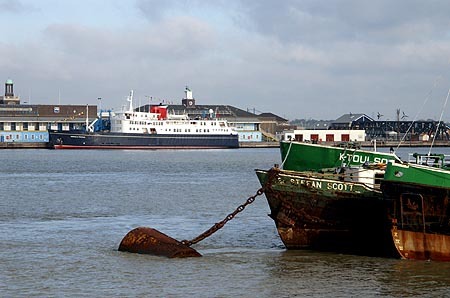 Photo: &COPY; Ian Boyle, 13th November 2005. 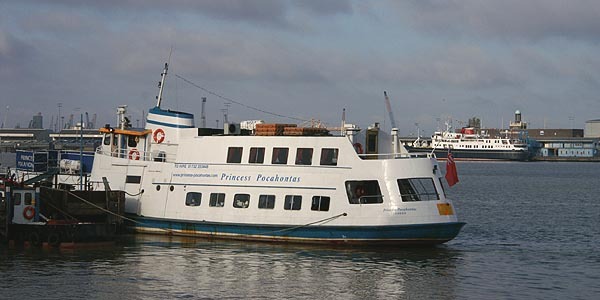 Princess Pocahontas in the foreground. 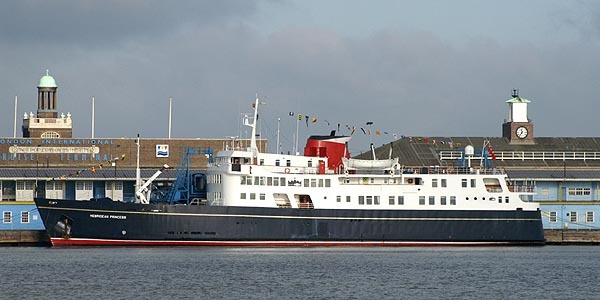 Please credit to www.simplonpc.co.uk if you take images from this website!